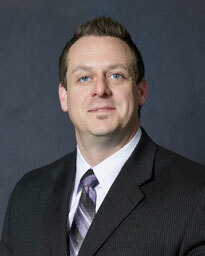 Dr. Clint Johnson attended medical school at Texas Tech University Health Science Center School of Medicine in Lubbock. He completed both his orthopedic surgery internship and residency at the University of Texas Medical Branch at Galveston. Board certified in orthopedic surgery, Dr. Johnson specializes in general orthopedics His clinical interests include total joint replacement. When performing hip replacements, he prefers to use the anterior approach. and is well versed in treating adults and children with fractures. Dr. Johnson has published articles in medical journals and is a member of the American Academy of Orthopedic Surgeons, Texas Orthopaedic Association, Texas Medical Society and the Houston Medical Forum. He serves on the faculty of McGovern Medical School at UTHealth in Houston.